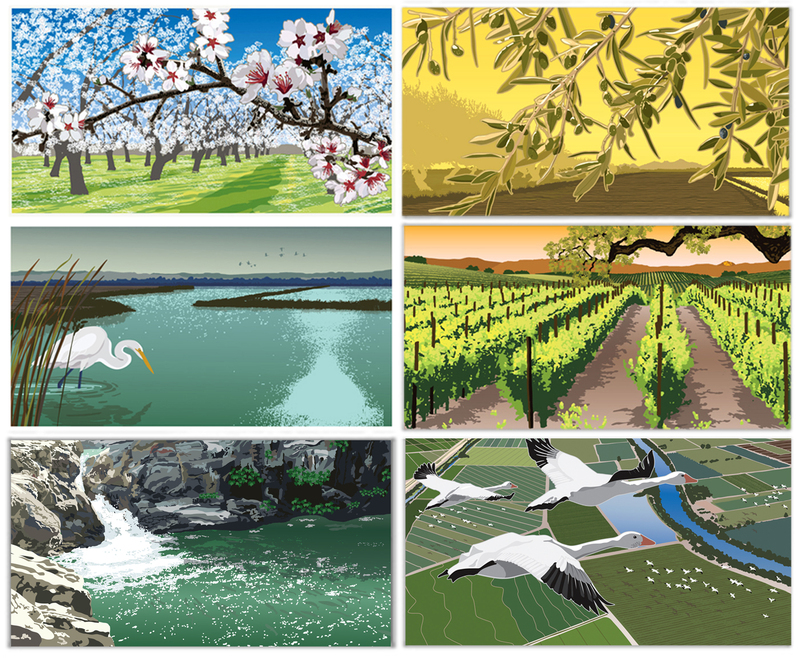 Includes all 6 Northern California Gold Series images in one unframed set. All the images will have the same Edition Number throughout. "Almonds" and "Rice" are scheduled to be released in April, 2013. "Vineyard" and "Olives" will be released in June, 2013. "Migration" and "Salmon Run" will be released in August, 2013. As the prints are created and released, we will ship them to you. Therefore, your order includes freight charges for the first two prints only. We will contact you to confirm your address is current and that you want the image shipped to the same location at each release, and will collect your payment for freight at that time.